Why is Alcohol Abuse such a Problem among young Professionals? I work mostly with young professional who are well accomplished yet some suffer from anxiety, some have symptoms of depression, and some of them struggle in silent from alcohol abuse. These young professionals report long hours of work going at frantic pace. In addition, a competitive environment and pressure to succeed can contribute to making the job of a professional extremely stressful. 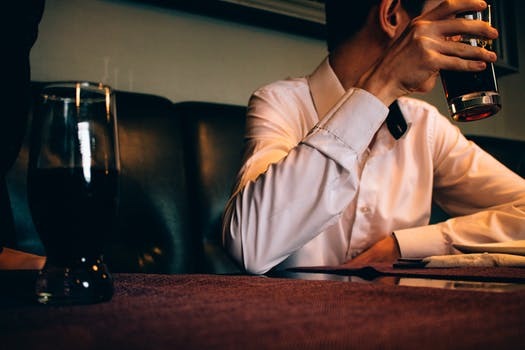 Research shows that some professionals such as lawyer and doctors struggle with depression, anxiety disorders and substance use disorders at higher rates than other professions. Despite the well-known toll that working in a high-intensity, demanding field can take, lawyers or doctors are typically unwilling to admit when they were struggling. There is the tremendous fear that if anyone finds out that you have a substance abuse problem, even if it’s successfully treated, it will somehow get you fired, get you into trouble with the disciplinary board, and have your peers whispering about you around the water cooler. The fear is that somehow it may be used against you. Young professionals struggling with their mental health or substance abuse disorders do their best to keep the conditions hidden and suffered in silence. Only when alcohol and drug use got out of control and they get caught using on the job, displayed erratic behavior, incurred substance use-related arrests, or could no longer perform their legal duties, do they come to the attention of their employer or disciplinary boards. Then, the matter either becomes grounds for these professionals being fired or subject to disciplinary action. These attitudes are starting to change. Promoting wellness at work and helping the ones struggling with substance abuse, mental health or behavioral disorders is a necessity. Acknowledging that mental health disorders and substance abuse are health issues that can be successfully treated and overcome in many cases. By focusing on treatment and not punishment, mental health programs can allow all types of professionals to regain control over their mental health symptoms and alcohol abuse. Sejdaras Psy.D & Associates provides treatment for young professionals by matching clients with highly skilled therapists who are experienced with diagnosing and treating a wide range of substance abuse and mental health disorders. To encourage young professionals struggling with alcoholism, drug addiction and mental health disorders to proactively seek help, we provide totally confidential assessments, referrals and ongoing support to help remain substance free. We need to change our culture and make it cool to seek help when it’s needed. If you need to go to rehab, it doesn’t mean you’re not a fierce trial lawyer, amazing doctor, great financial advisor, or a hard working health care provider; it means you’re a fierce professional who is also courageous and smart enough to engage in appropriate self care and self compassion.